The well-earned popularity of the recent RHS shows, as well as a national focus on renovation and design, have shown that the garden really can be its’ own inspiring living space. Once, the garden may have been an afterthought, but it is now an extension of the home, showcasing beauty, function and innovation. The concept of Outdoor Lighting is often seen as less important as structural designs or features. However, the best plans bring an entire outdoor space together, and correct lighting is essential. This is especially relevant in the months where we spend more time enjoying the garden. Outdoor lighting design has greatly improved recently, taking on board the idea of ornamental value as well as lighting function. Lights that add decoration through their shape, size and material in daylight, are a particularly pleasing touch. Designers may match a light’s material to the style of the building. For example, a traditional Farmhouse or Barn would benefit from Rustic Brass wall lights, perhaps Solid Timber illuminated bollards for a driveway, and smaller Copper or Brass Spotlights for areas of planting. Non-illuminated fittings often look fantastic in specific areas or features. Rock Lights are well suited to rockeries or old stone paths, with different realistic finishes available, such as ‘Sandstone’ or ‘Slate Grey’, to be in keeping with location. It’s important that fittings that look great ‘unlit’ provide an effective source of light into the evening. Lights can illuminate features that may otherwise not be highlighted in daylight. For example, a water fountain transforms dramatically when lit at night. 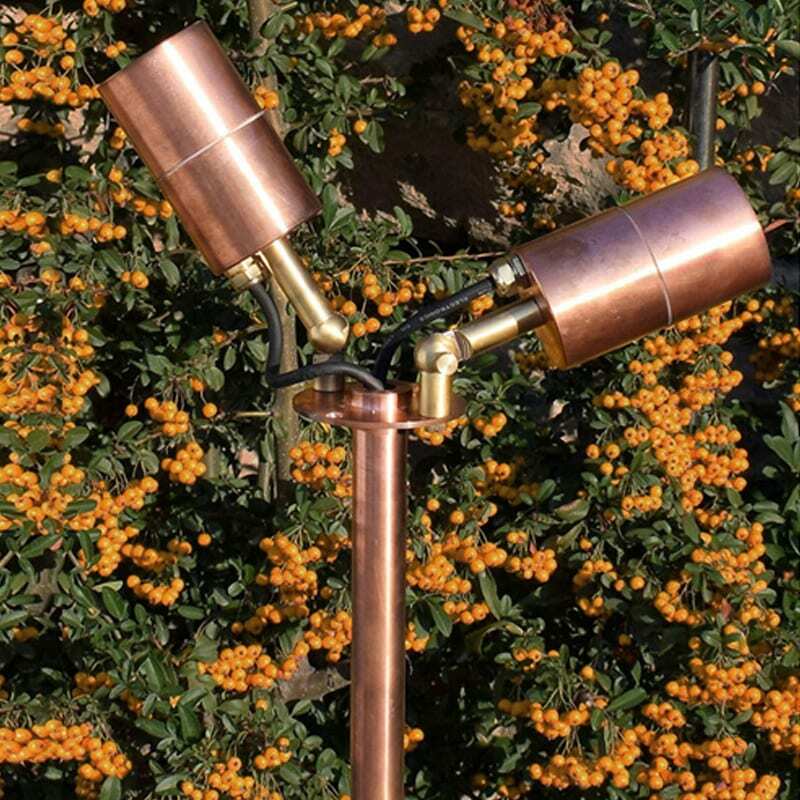 Lumena Lights stock probably the largest range of Brass and Copper lights in the UK and have a bespoke range of Timber path lights – the Radiata. The LuxRox Rock Lights are very realistic and are a fun, easy way to add unique lighting to a garden. On a smaller scale, recessed lights are available in many finishes including Stainless Steel. The most popular path light is the Anodised Aluminium with a fantastic ‘bubble’ effect that looks great, ‘Day or Night’.